So when Simply Be got in contact to ask me if I wanted to put together an outfit based on trends that I was excited about, I decided to go for it, because I knew exactly what I wanted to choose!! I love a slogan tee and a cute one was really easy to find. 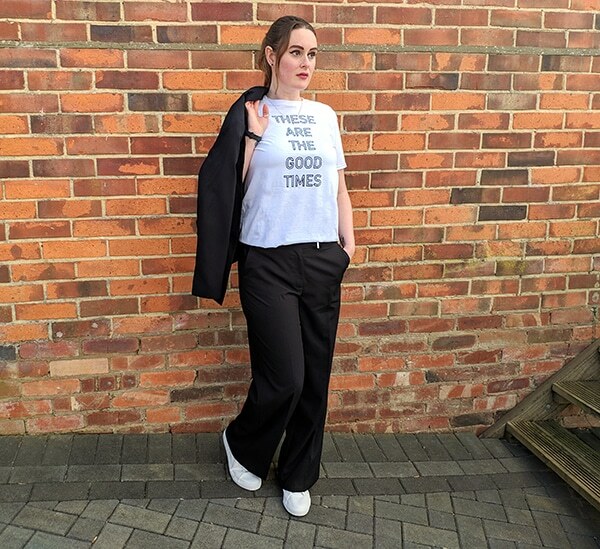 This these are the good times tee is usually £14 (although at the time of publishing this post, it was on sale for £12.50). I got mine in medium but sizes range from small to 2XL. I love the fact the blazer doesn’t do up so it actually hangs really nicely. There are buttons down the front and two fake pockets as well. This jacket comes in sizes 10 to 32. I got mine in a size 12, although I could have sized down to a 10. 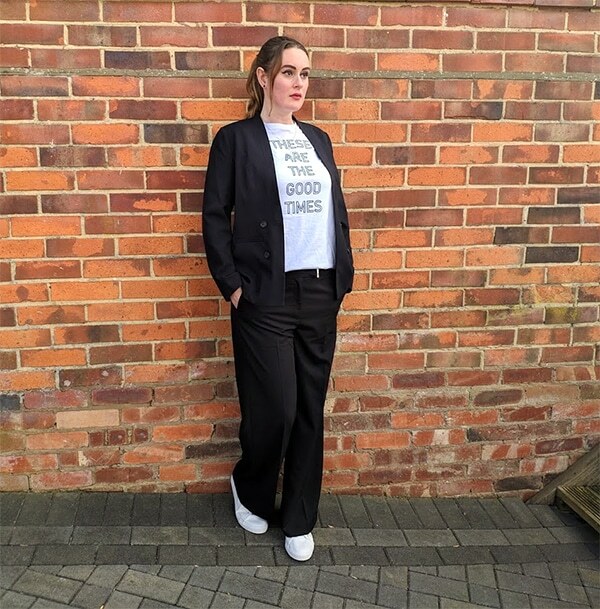 The blazer is currently £25. 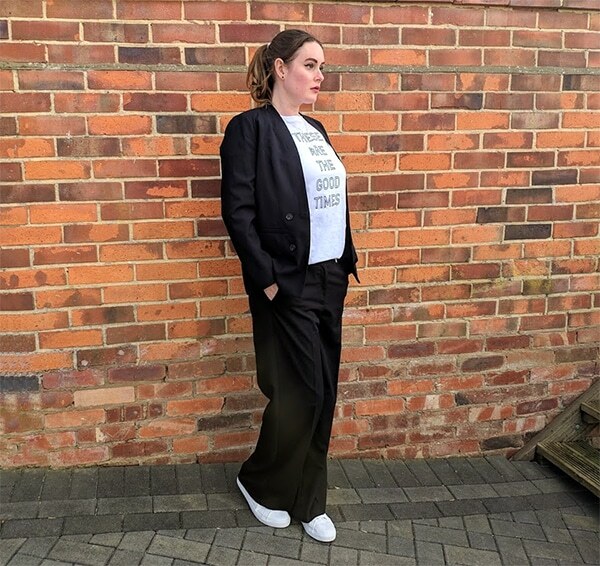 Obviously I couldn’t wear just a tee and a blazer, so I teamed the upper half with a pair of wide leg tailored trousers 🙂 They come in three lengths (short, regular and long), three colours (black, light grey and navy) and a range of sizes (from 10 to 32). I went for regular length in a size 12. 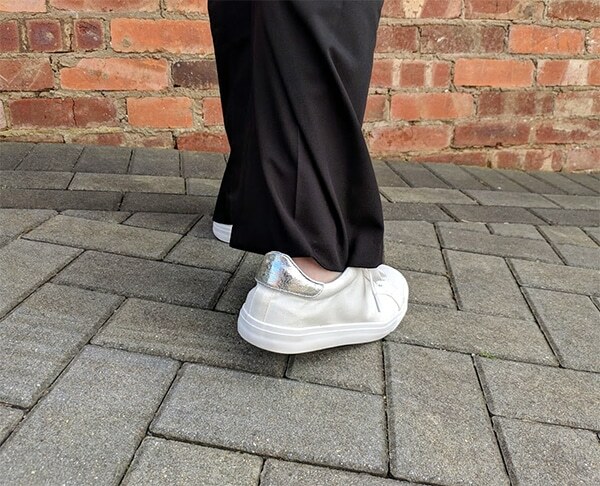 The trousers fit really well and have slightly elasticated sides, plus a zip fly at the front and metal fastening at the side. Oh and they also have pockets. Bloody love pockets!! 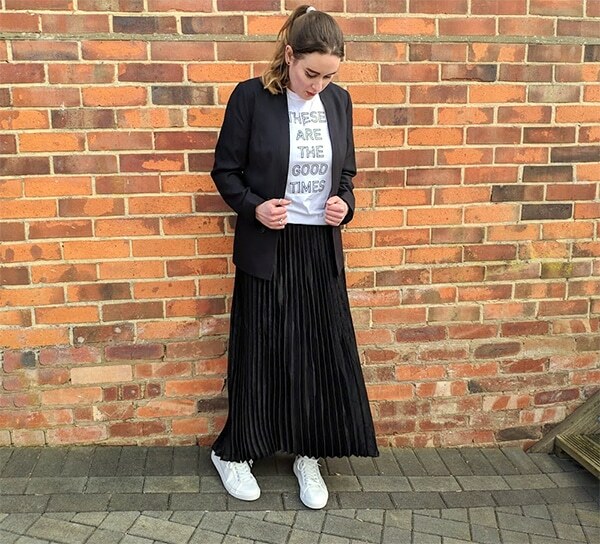 For my second outfit, I saw Alice Spake and Hannah Gale wearing pleated midi skirts with trainers, so I wanted a pleated midi skirt and trainers. This might be last year’s trend but as I didn’t jump on it back then, I’m totally jumping on it now. Who knows, it might even still be a thing this year, right? 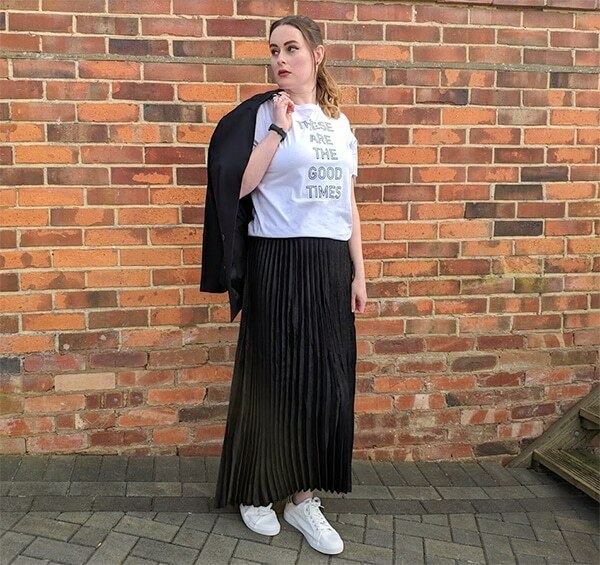 I was hoping for a midi length pleated skirt, but they were all out of stock, so I settled for a maxi length pleated skirt instead, which I think works just as well. A massive thank you to my wonderful boyfriend, J, who took all these shots for me 😘😘😘😘 Plus a massive thank you to Simply Be for sending me two fabulous outfits!! *These items were all kindly sent to me to create an outfit look but views and body are my own. You look beautiful! 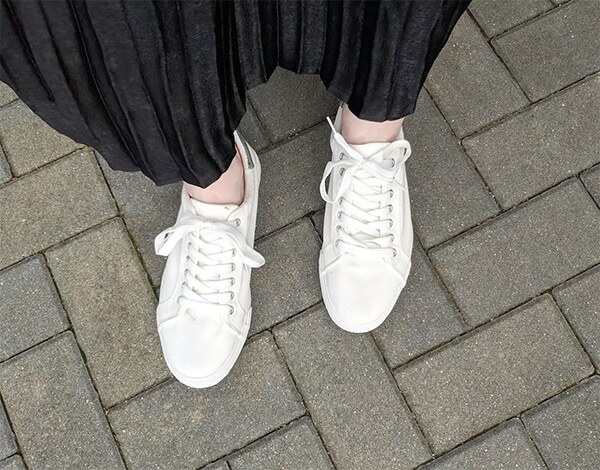 I especially love the midi skirt and trainers look! I’ve started wearing more midi and maxi skirts, which is a change for me, but I love them! The slogan tee is really cute, you look amazing! I’ve recently become obsessed with midi length skirts and dresses too! 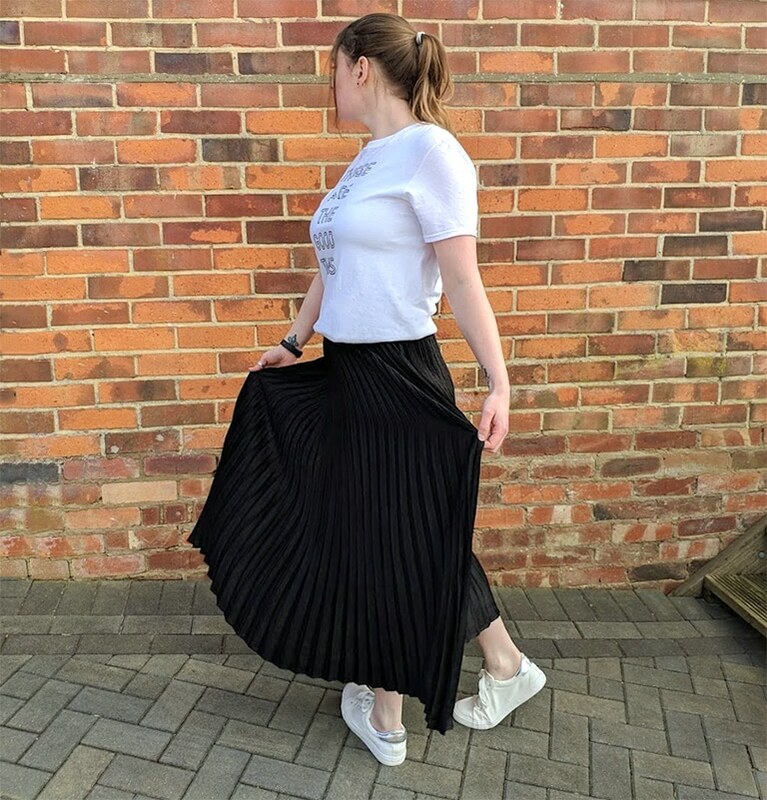 I am on a mission to find a pleated skirt like the one you have, I wasn’t sure about it in maxi length but that one looks amazing on you! 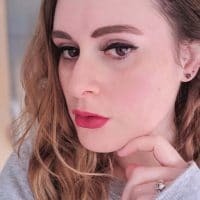 Thanks for describing the fabric – my problem with a lot of things I like the look of always end up being ridiculously see through which I’m always wary about when buying online, but i’ll check these ones out! All those outfits look great on you, I want to copy you and buy them all! Yeah this one is definitely not see through!! 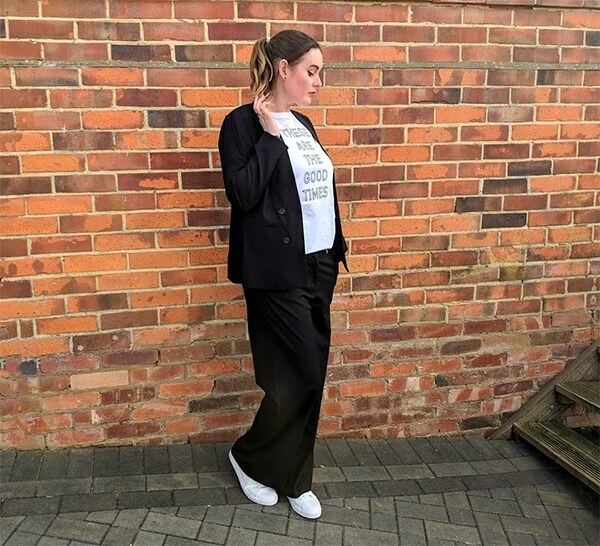 I was a bit annoyed it wasn’t midi length at first, but I’m actually loving the maxi length now 🙂 You can buy all of them, let’s just not wear the same outfit at the same time, yeah?? Oooh sweet, I’ll go check them out! !